The 7.2 million USD check used to pay for Alaska (Roughly $122 million today). Russia wanted to sell its Alaskan territory, fearing that it might be seized if war broke out with the United Kingdom. Russia's primary activities in the territory had been fur trade and missionary work among the Native Alaskans. 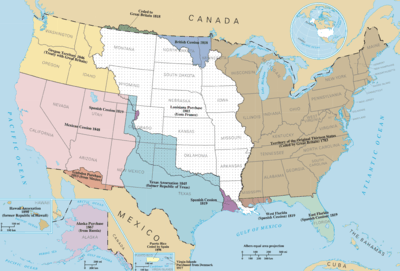 The land added 586,412 square miles (1,518,800 km2) of new territory to the United States. Reactions to the purchase in the United States were mostly positive; some opponents called it "Seward's Folly" (after Secretary of State William H. Seward), while many others praised the move for weakening both the UK and Russia as rivals to American commercial expansion in the Pacific region. The purchase threatened British control of its Pacific coast colony, giving added impetus to Canadian Confederation, which was realized just three months later, in July 1867. The Dominion of Canada would welcome British Columbia to confederation in 1871, ending US hopes of annexation and an uninterrupted connection of Alaska to the United States. Russia was in a difficult financial position and feared losing Russian America without compensation in some future conflict, especially to the British, whom they had fought in the Crimean War (1853–1856). While Alaska attracted little interest at the time, the population of nearby British Columbia started to increase rapidly a few years after hostilities ended, with a large gold rush there prompting the creation of a British crown colony on the mainland in addition to the one that was already established on Vancouver Island, where the French and British fleets had retreated after the Battle of Petropavlovsk in the Russian Far East. The Russians decided that in any future war with Britain, their hard-to-defend colony might become a prime target, and would be easily captured. Therefore, the Russian emperor, Alexander II, decided to sell the territory. Perhaps in the hope of starting a bidding war, both the British and the Americans were approached. However, the British expressed little interest in buying Alaska. In 1859 the Russians offered to sell the territory to the United States, hoping that its presence in the region would offset the plans of Russia's greatest regional rival, Great Britain. However, no deal was reached, as the risk of an American Civil War was a more pressing concern in Washington. This proposal was a topic in the higher echelons of the Russian government throughout 1857 and 1858. Konstantin's letter was shown to his brother, Tsar Alexander II, who wrote "this idea is worth considering" on the front page. Supporters of Konstantin's proposal to immediately withdraw from North America included Admiral Yevfimy Putyatin and the Russian minister to the United States, Eduard de Stoeckl. Gorchakov agreed with the necessity of abandoning Russian America, but argued for a gradual process leading to its sale. He found a supporter in the naval minister and former chief manager of the Russian-American Company (RAC), Ferdinand von Wrangel. Wrangel pressed for some proceeds to be invested in the economic development of Kamchatka and the Amur Basin. The Emperor eventually sided with Gorchakov, deciding to postpone negotiations until the end of the RAC's patent, set to expire in 1861. 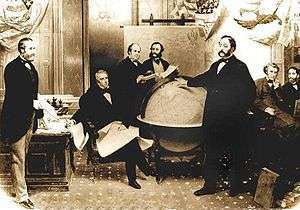 Over the winter of 1859-1860 De Stoeckl held meetings with American officials, though he had been instructed not to initiate discussions about the sale of the RAC assets. Communicating primarily with Assistant Secretary of State John Appleton and Senator William M. Gwin, De Stoeckl reported the interest expressed by the Americans in acquiring Russian America. While President James Buchanan kept these hearings informal, preparations were made for further negotiations. Senator Gwin tendered a hypothetical offer of five million dollars for the Russian colony, a figure Gorchakov found far too low. De Stoeckl informed Appleton and Gwin of this, the latter saying that his Congressional colleagues in Oregon and California would support a larger figure. Buchanan's increasingly unpopular presidency forced the matter to be shelved until a new presidential election. With the oncoming American Civil War, De Stoeckl proposed a renewal of the RAC's charter. Two of its ports were to be open to foreign traders and commercial agreements with Peru and Chile to be signed to give "a fresh jolt" to the company. Additionally, the Russian Crown sought to repay money to its landowners after its emancipation reform of 1861 and borrowed 15 million pounds sterling from Rothschilds at 5% annually. When the time came to repay the loan, the Russian government was short of funds. Russia continued to see an opportunity to weaken British power by causing British Columbia, including the Royal Navy base at Esquimalt, to be surrounded or annexed by American territory. Following the Union victory in the civil war, the Tsar instructed the Russian minister to the United States, Eduard de Stoeckl, to re-enter into negotiations with William Seward in the beginning of March 1867. President Johnson was entangled in negotiations about Reconstruction and Seward had alienated a number of Republicans, so they believed that the purchase would help divert attention from the current domestic matters. The negotiations concluded after an all-night session with the signing of the treaty at 04:00 on March 30, 1867, with the purchase price set at $7.2 million ($122 million today), or about 2 cents per acre ($4.74/km2). The notion that the purchase was unpopular among Americans is, a scholar wrote 120 years later, "one of the strongest historical myths in American history. It persists despite conclusive evidence to the contrary, and the efforts of the best historians to dispel it", likely in part because it fits American and Alaskan writers' view of the territory as distinct and filled with self-reliant pioneers. American public opinion was not universally positive; to some the purchase was known as "Seward's folly", or "Seward's icebox". Newspaper editorials contended that taxpayer money had been wasted on a "Polar bear garden". Nonetheless, most newspaper editors argued that the U.S. would probably derive great economic benefits from the purchase; friendship with Russia was important; and it would facilitate the acquisition of British Columbia. Forty-five percent of newspapers endorsing the purchase cited the increased potential for annexing British Columbia in their support. W. H. Dall in 1872 wrote that "...there can be no doubt that the feelings of a majority of the citizens of the United States are in favor of it..." while referring to purchasing the territories of Russia in America. A review of dozens of newspapers of the day reveals general support for the purchase, especially in California and most of the 48 major newspapers supported the purchase at the time. Seward and many other Americans believed that Asia would become an important market for the country's products, and expected that Alaska would serve as a base for American merchant ships. Senator Charles Sumner was unusual in expecting that the territory would be valuable on its own; having studied the records of explorers, he believed that it contained valuable animals and forests. As chair of the Foreign Relations Committee, he sponsored the bill to acquire the territory. Seward told the nation that the Russians estimated that Alaska contained about 2,500 Russians and those of mixed race (that is, a Russian father and native mother), and 8,000 indigenous people, in all about 10,000 people under the direct government of the Russian fur company, and possibly 50,000 Inuit and Alaska Natives living outside its jurisdiction. The Russians were settled at 23 trading posts, placed at accessible islands and coastal points. At smaller stations only four or five Russians were stationed to collect furs from the natives for storage and shipment when the company's boats arrived to take it away. There were two larger towns. New Archangel, now named Sitka, had been established in 1804 to handle the valuable trade in the skins of the sea otter and in 1867 contained 116 small log cabins with 968 residents. St. Paul in the Pribilof Islands had 100 homes and 283 people and was the center of the seal fur industry. The treaty passed the United States Senate with 37 votes for versus 2 opposed. American settlers who shared Sumner's belief in the riches of Alaska rushed to the territory, but found that much capital was required to exploit its resources, many of which were also found closer to markets in the contiguous United States. Most soon left; by 1873 Sitka's population had declined from about 2,500 to a few hundred. The United States acquired an area twice as large as Texas, but it was not until the great Klondike gold strike in 1896 that Alaska came to be seen generally as a valuable addition to American territory. In Alaska, Alaska Day celebrates the formal transfer of Alaska from Russia to the United States, which took place on October 18, 1867. The date is by the Gregorian calendar, which came into effect in Alaska the following day to replace the Julian calendar used by the Russians (the Julian calendar in the 19th century was 12 days behind the Gregorian calendar). 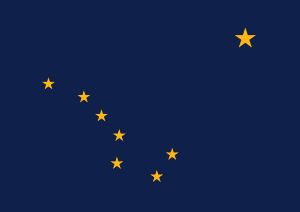 Alaska Day is a holiday for all state workers. 1 2 Federal Reserve Bank of Minneapolis Community Development Project. "Consumer Price Index (estimate) 1800–". Federal Reserve Bank of Minneapolis. Retrieved 21 October 2016. ↑ British Columbia and Confederation, The Canadian Encyclopedia, Dec. 19, 2014. ↑ "Purchase of Alaska, 1867". Office of the Historian, U.S. Department of State. Retrieved December 4, 2014. ↑ "Purchase of Alaska, 1867". Archived from the original on 2008-04-10. .
↑ Claus-M Naske; Herman E. Slotnick (15 March 1994). Alaska: A History of the 49th State. University of Oklahoma Press. p. 330. ISBN 9780806125732. 1 2 Russian Opinion on the Cession of Alaska. The American Historical Review 48, No. 3 (1943), pp. 521-531. 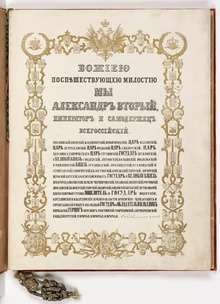 1 2 3 4 5 6 7 Bolkhovitinov, Nikolay N. The Crimean War and the Emergence of Proposals for the Sale of Russian America, 1853-1861. Pacific Historical Review 59, No. 1 (1990), pp. 15-49. ↑ Кто и как продавал Аляску (Who and how was sold Alaska). Russian portal. 1 2 Neunherz, R. E. (1989). ""Hemmed In": Reactions in British Columbia to the Purchase of Russian America". The Pacific Northwest Quarterly. 80 (3): 101–111. doi:10.2307/40491056. JSTOR 40491056. ↑ Kennedy, Robert C. "The Big Thing". Harp Week. Archived from the original on 1 January 1970. Retrieved 31 August 2015. ↑ Seward, Frederick W., Seward at Washington as Senator and Secretary of State. Volume: 3, 1891, p. 348. ↑ "Treaty with Russia for the Purchase of Alaska". Library of Congress. Archived from the original on 30 August 2015. Retrieved 30 August 2015. 1 2 3 4 5 Haycox, Stephen (1990). "Haycox, Stephen. "Truth and Expectation: Myth in Alaska History". Northern Review. 6. Retrieved 31 August 2015. ↑ Richard E. Welch, Jr., "American Public Opinion and the Purchase of Canadian America", American Slavic and East European Review, 1958, Vol. 17 Issue 4, pp. 481–494 . ↑ "Biographer calls Seward's Folly a myth". The Seward Phoenix LOG. 3 April 2014. Retrieved 31 August 2015. ↑ Jones, Preston. "Founding of Anchorage, Alaska" (DVR)|format= requires |url= (help). C-SPAN3. ↑ Dall, W. H. (1872). "Is Alaska a Paying Investment". Harper's New Monthly Magazine. NY: Harper & Brothers. XLIV: 252. ↑ photographs, Preston Jones ;; Holland, illustrations edited by Neal (2013). The fires of patriotism : Alaskans in the days of the First World War 1910-1920. p. 21. ISBN 978-1602232051. Retrieved 30 August 2015. ↑ Ellis Paxson Oberholtzer, A History of the United States since the Civil War (1917)1:541. ↑ Bancroft, H. H., (1885) pp. 590–629. ↑ Pierce, R. (1990), p 395. ↑ Richard Pierce, introduction to Ahllund, T., From the Memoirs of a Finnish Workman (2006). 1 2 Gilman, D. C.; Thurston, H. T.; Colby, F. M., eds. (1905). "Sealing". New International Encyclopedia (1st ed.). New York: Dodd, Mead. ↑ Powell, Michael (18 August 2010). "How Alaska Became a Federal Aid Magnet". The New York Times. Retrieved 27 April 2014. ↑ Miller, John. The Last Alaskan Barrel: An Arctic Oil Bonanza that Never Was. Caseman Publishing. ISBN 978-0982878002. ↑ Powell, Michael (20 August 2010). "Was the Alaska Purchase a Good Deal?". The New York Times. Retrieved 24 September 2014. Ahllund, T., From the Memoirs of a Finnish Workman, trans. Panu Hallamaa, ed. Richard Pierce, Alaska History, 21 (Fall 2006), 1–25. (Originally published in Finnish in Suomen Kuvalehti (editor-in-chief Julius Krohn) No. 15/1873 (1 Aug) – No. 19/1873 (1 Oct)). Pierce, Richard: Russian America: A Biographical Dictionary, p 395. Alaska History no. 33, The Limestone Press; Kingston, Ontario & Fairbanks, Alaska, 1990. "Milestones: 1866-1898. Purchase of Alaska, 1867". U.S. Department of State. Archived from the original on 16 October 2011. Retrieved 19 October 2011.